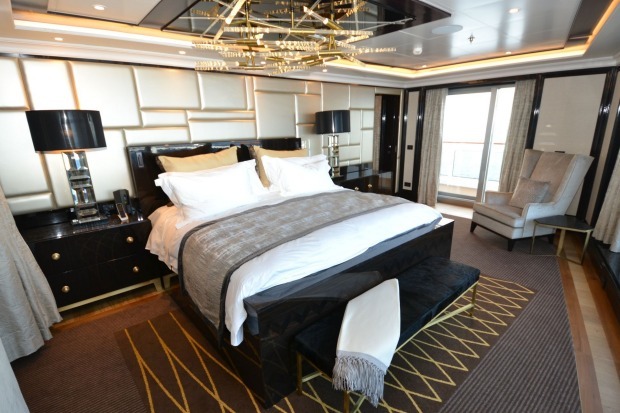 Regent Seven Seas Explorer review: Is this the most luxurious cruise ship ever built? 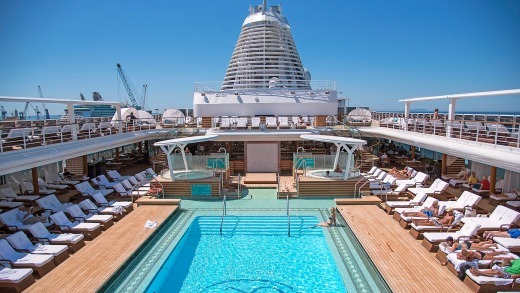 The big end of town in the cruising world is going gangbusters. 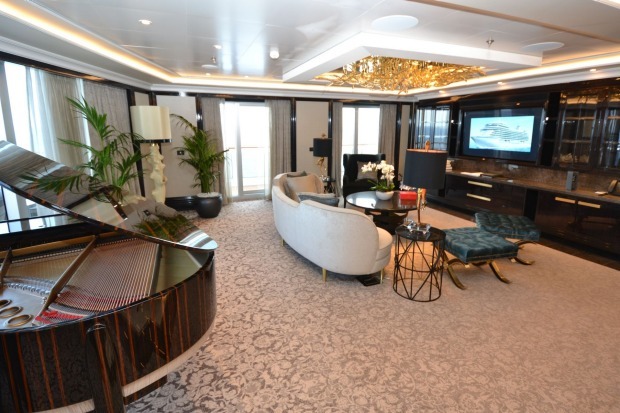 All the luxury ocean cruise lines – Crystal, Hapag-Lloyd, Seabourn, Silversea and Regent Seven Seas – are investing billions of dollars in building new ships. 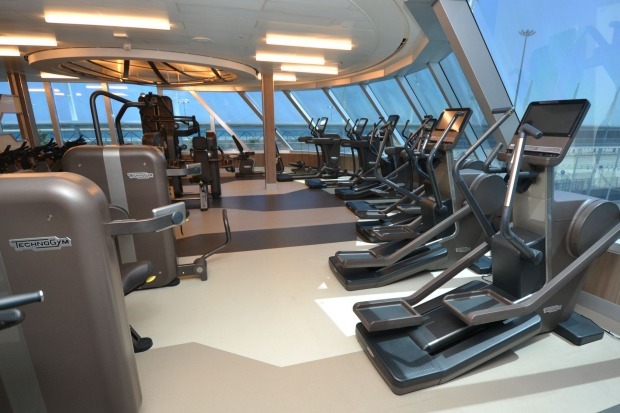 That's on top of the recently launched Seabourn Encore, Regent's Seven Seas Explorer and upcoming Silver Muse. 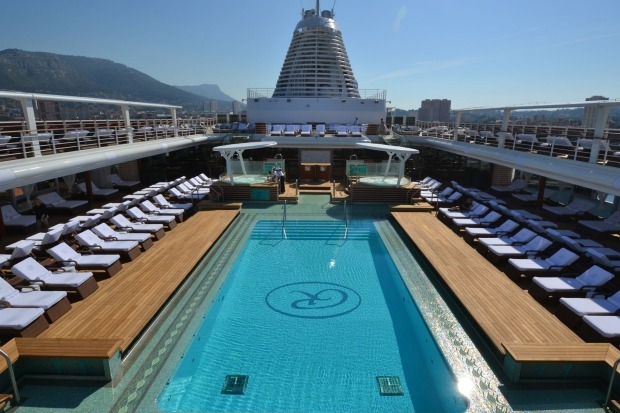 Seven Seas Explorer set sail in July 2016, billed as "the most luxurious cruise ship ever built". 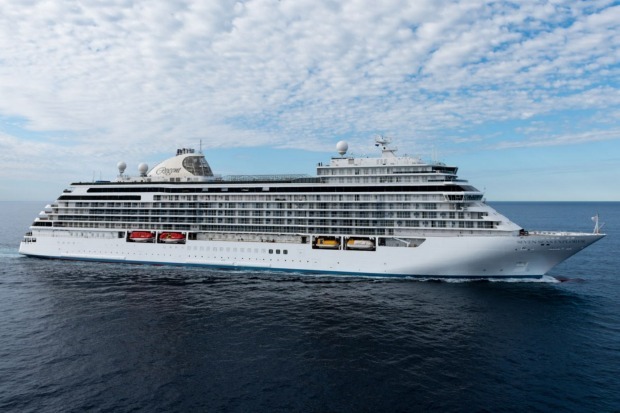 That's a big call in this highly competitive market and when I join the ship in Civitavecchia I'm keen to discover whether it will live up to the hype. Crew members are on hand in the atrium to greet embarking guests, bearing cool facecloths and a welcome glass of icy champagne (tick!). 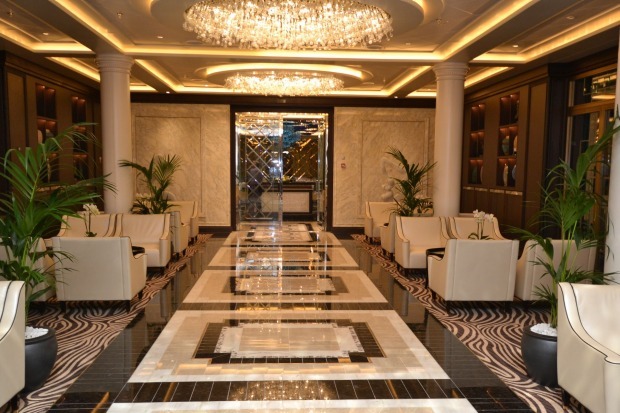 The soaring atrium makes a powerful first impression – a vast crystal chandelier hangs over a dramatic curvy double staircase and the circular inlaid marble floor piece looks like something you'd see in an Italian palazzo. 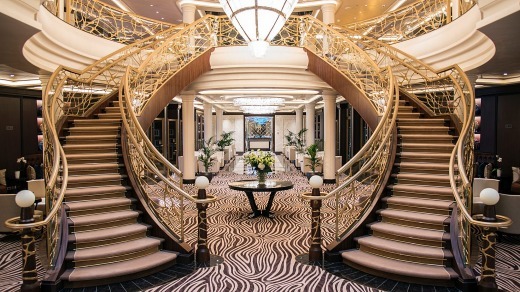 A quick guided tour of the ship reveals a wealth of detail – there are 473 handmade chandeliers in the restaurants, lounges, bars, suites and even the corridors; some 2500 artworks, including contemporary paintings and sculptures as well as pieces by Chagall and Picasso; and 4262 square metres of marble, which is enough to cover the base of the Great Pyramid of Giza five times over. I particularly like the chocolate-coloured leather floor tiles in the library, although I worry about how they will survive spiky heels. 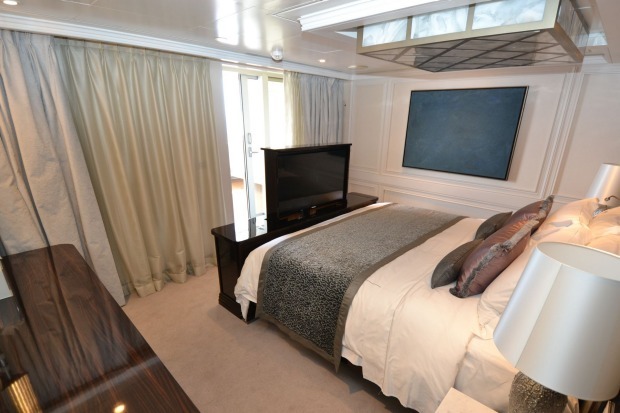 My Superior Suite on Deck 8 is handily placed near a self-service launderette (more on that later) and is elegantly decorated in a cream and coffee palette with deep-blue accents. 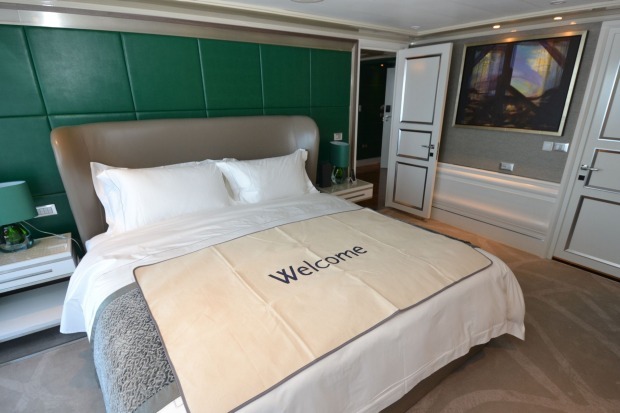 It is light and airy and has a generous-sized balcony (Regent says all the balconies on Seven Seas Explorer are the biggest at sea) plus a lavish marble bathroom with double sinks, lots of drawers, a bath and large shower. 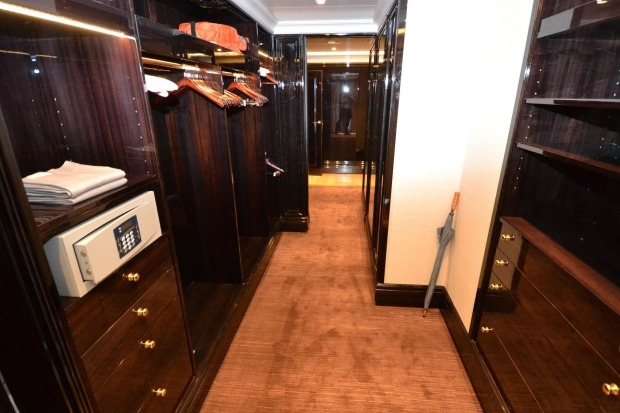 At 38 square metres it is a fraction of the size of the $US10,000 a night, 360-square-metre Regent Suite, but frankly I could happily set up home in the walk-in dressing-room. 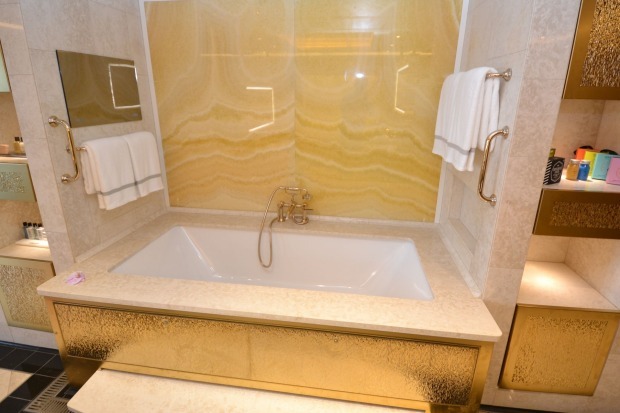 The two-bedroom Regent Suite is occupied – in fact it is sold out until well into this year – so we don't get to look around it, but photos and descriptions go a long way. 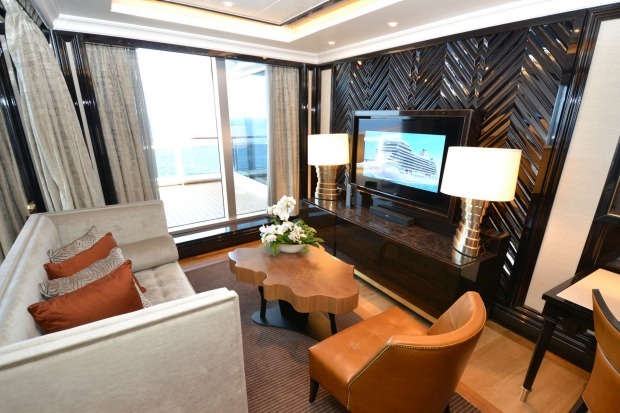 It occupies prime position at the bow of Deck 14, with 270-degree views from its wraparound balcony. 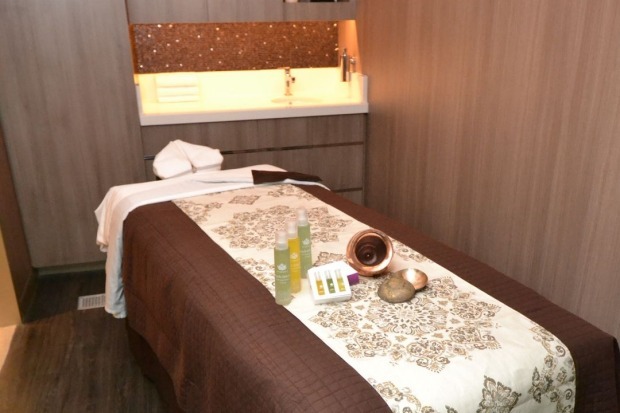 Among its unbelievably opulent fixtures and fittings is a full-service spa – occupants have unlimited in-suite treatments from the ship's Canyon Ranch spa. 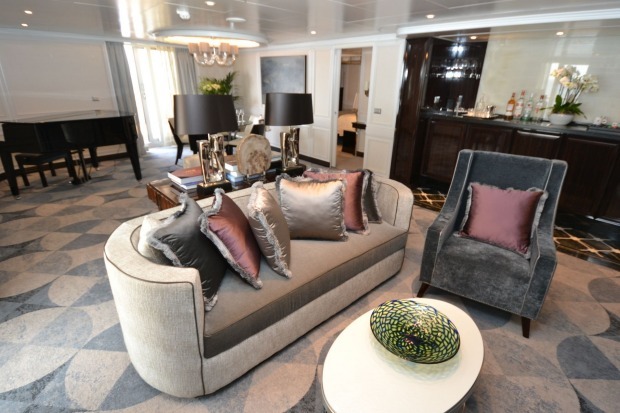 "If you want to say this is the most luxurious ship in the world, you have to have the most luxurious suite," said Frank Del Rio, president and CEO of Norwegian Cruise Line Holdings, the umbrella company that owns Regent Seven Seas Cruises. During the cruise to Barcelona I meet the unassuming occupants of the Regent Suite at our favourite watering hole, the Connoisseur Club. I also share several drinks there with a German-American couple called Kim and Thomas, who are travelling with their adult son Sven. 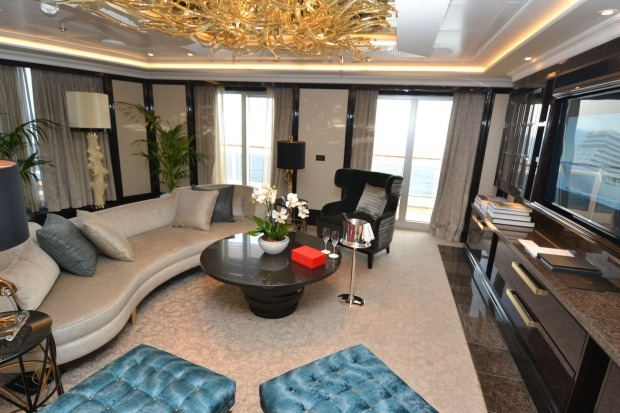 They invite me to their Penthouse on Deck 10 for a nightcap one evening and that word palatial pops into my mind again. 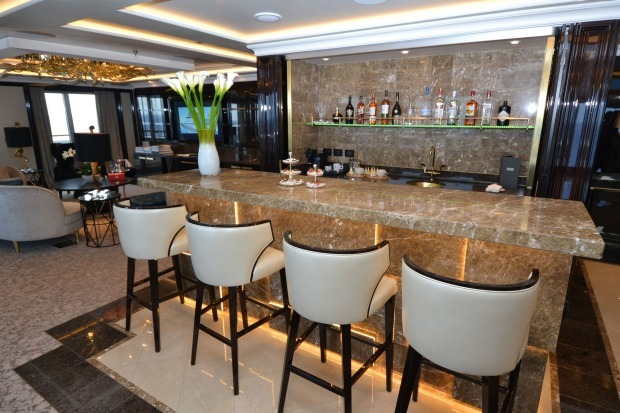 Their butler materialises to pour drinks; of the 15 categories of all-balcony suites, nine receive butler service. 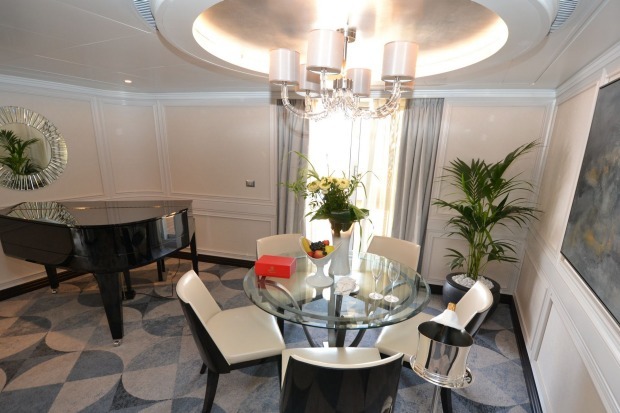 Guests in the Regent, Master and Grand suites have exclusive access to a private dining room that's hidden away between Prime 7 and Chartreuse on Deck 10. 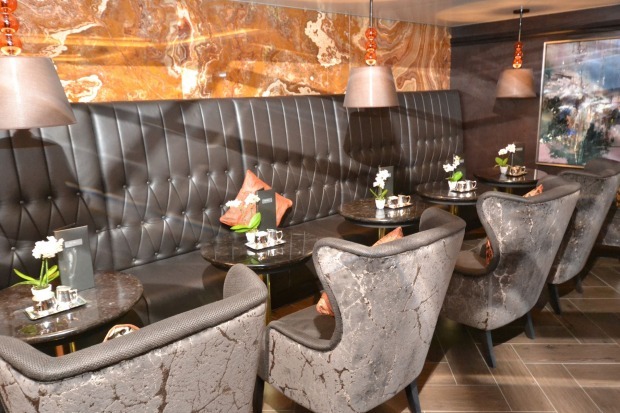 We have a sneak peek and it's a beautiful space for 16 to 20 extra-privileged diners. 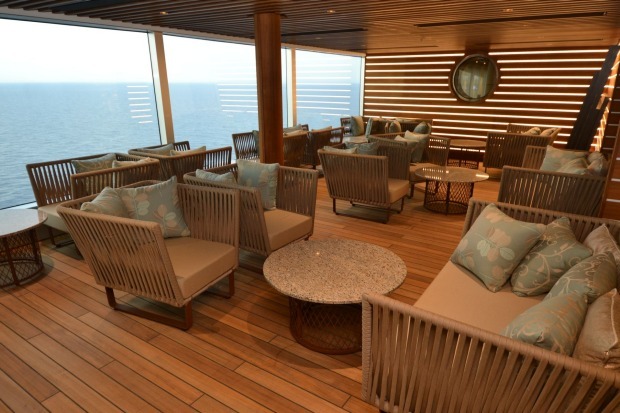 Wining and dining is a delight in all the ship's restaurants. 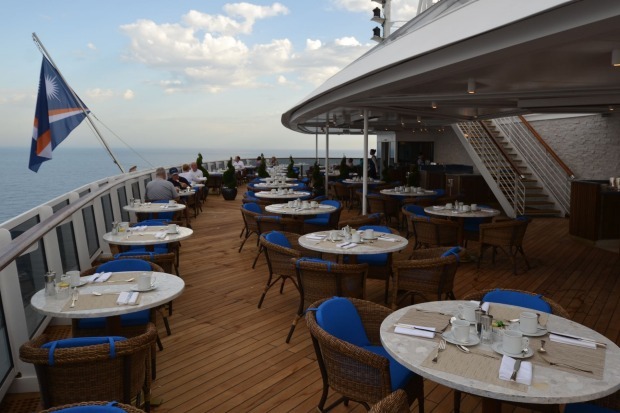 Dinner at the casual, al fresco Sette Mari on the first night sets the tone for the rest of the cruise – Sette Mari is the evening incarnation of La Veranda buffet and is the ideal setting for a sunset sailaway. 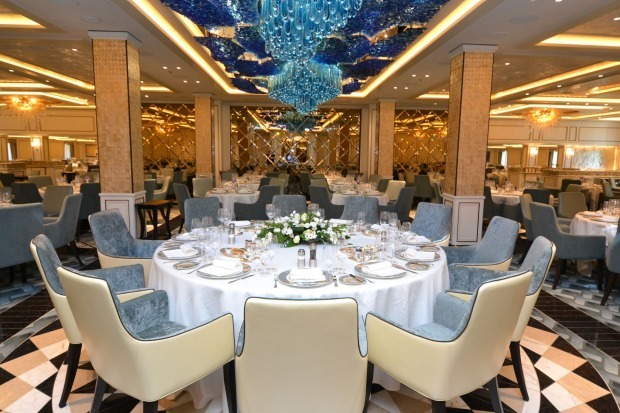 Compass Rose is the elegant main dining room, an exceptionally spacious venue featuring a massive sparkling-blue Murano glass ceiling installation. 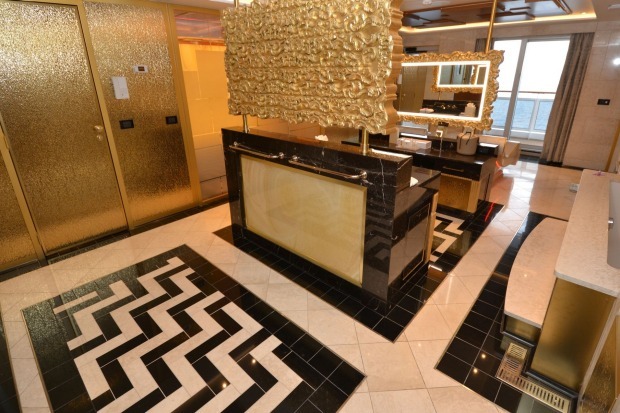 Tables are set with custom-made Versace plates and the restaurant is open for breakfast and dinner. Should you fancy a touch of caviar with your scrambled eggs in the morning there's a special self-service caviar station. 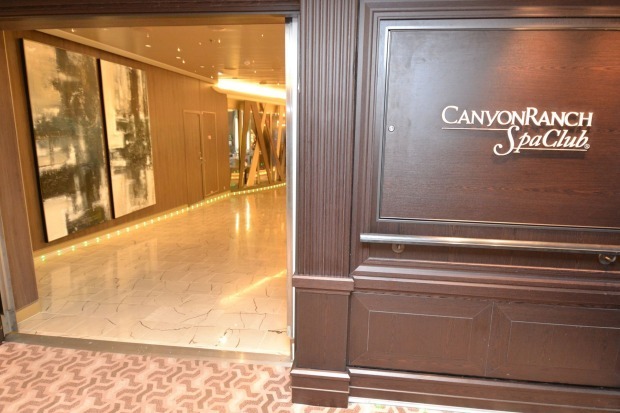 There are three specialty restaurants, for which you must make reservations although there is no cover charge; you can book dinner at each one at least once per cruise. The most dramatic in terms of design is the Asian-themed Pacific Rim. 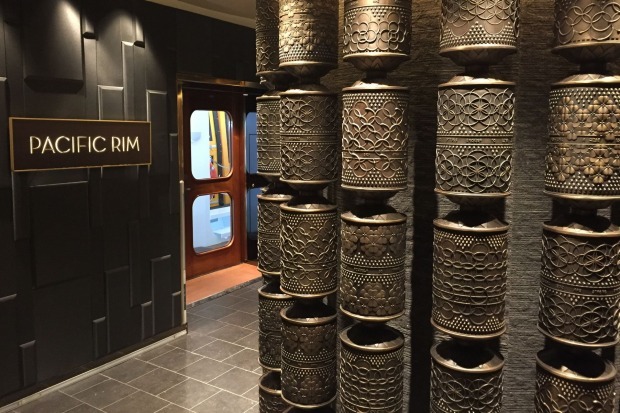 A bronze interpretation of a Tibetan prayer wheel welcomes you – this remarkable sculpture is the single most expensive piece of art on the ship and is so heavy the deck had to be reinforced with extra steel. The menu is pretty good, too – you can mix and match delicate-sized dishes from Vietnamese, Thai, Korean, Chinese and Japanese cuisines. 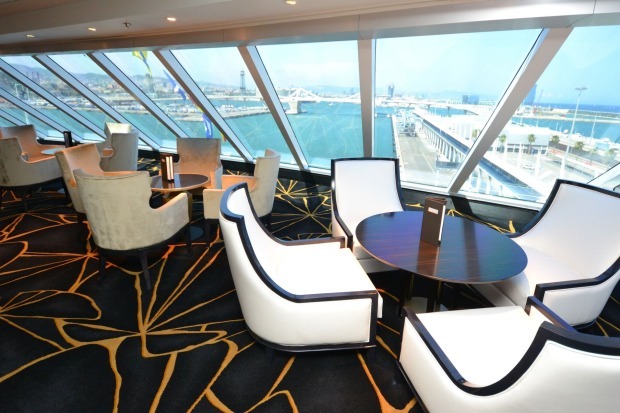 Prime 7 is a high-end steak and seafood restaurant that is onboard RSSC's other four ships while Chartreuse, like Pacific Rim, is new to Seven Seas Explorer. 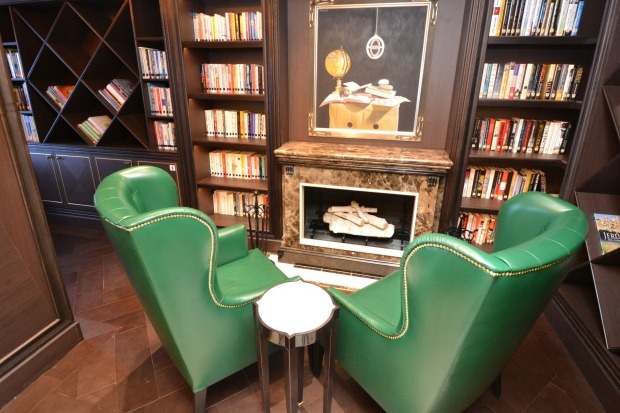 Once again, the designers have excelled themselves; the restaurant's filigree screens, warm lighting and gold-accented mirrors evoke a Parisian bistro. 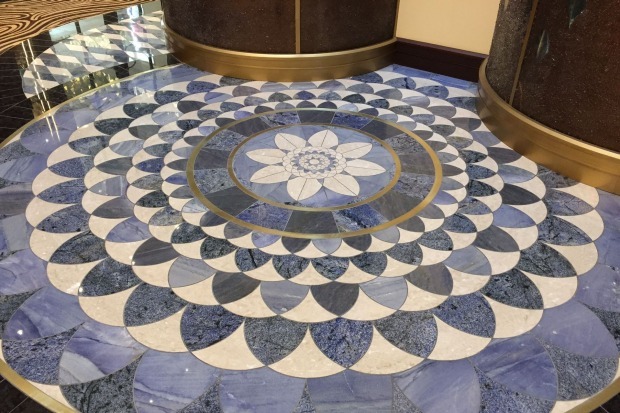 Look down and you'll see another exquisite inlaid marble floor and at the entrance, alternating matt and shiny black tiles are designed to represent cobblestones in Paris after a rainstorm. 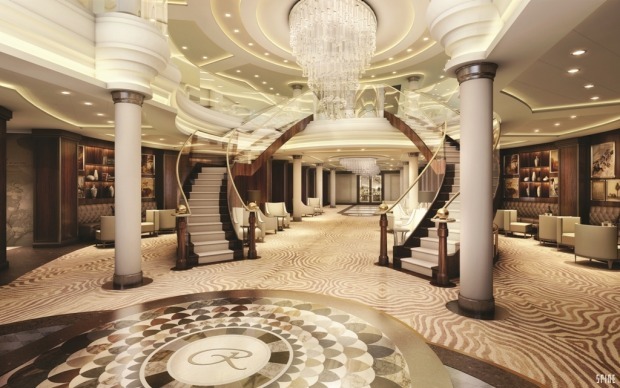 Regent's Seven Seas Explorer set sail in July 2016, billed as 'the most luxurious cruise ship ever built'. The only fail I find in the food department is the afternoon tea offered in the Observer Lounge – teabags and cups of hot water are just not acceptable and the wait staff seem more interested in the trivia quiz than serving rather lacklustre sandwiches and cakes. 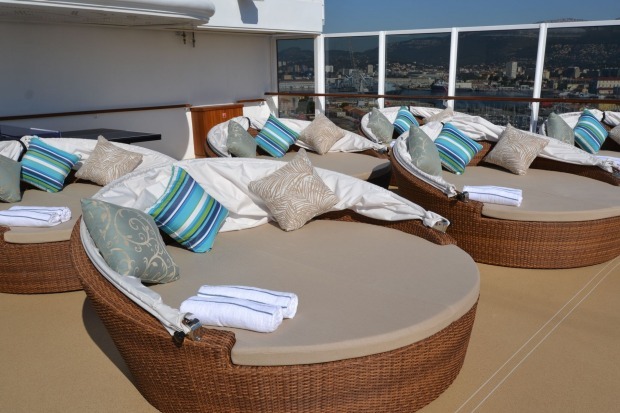 As well as including all meals, drinks, Wi-Fi and gratuities, Regent Seven Seas' fares include a range of shore excursions at every port. 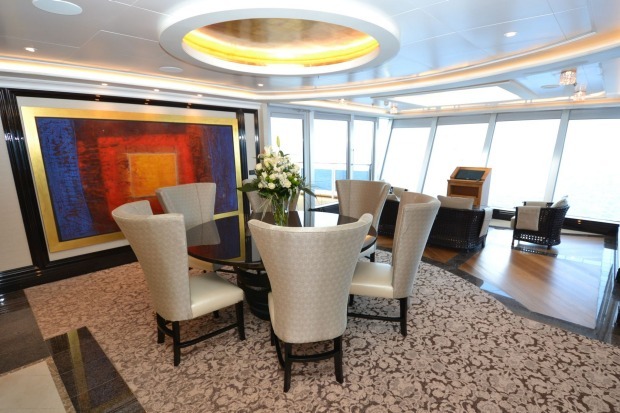 You can also opt for customisable Regent Choice tours that cost anything from under $US100 to $US600-plus. The free tours fill up quickly so it's worth booking them online in advance, or as soon as you embark. 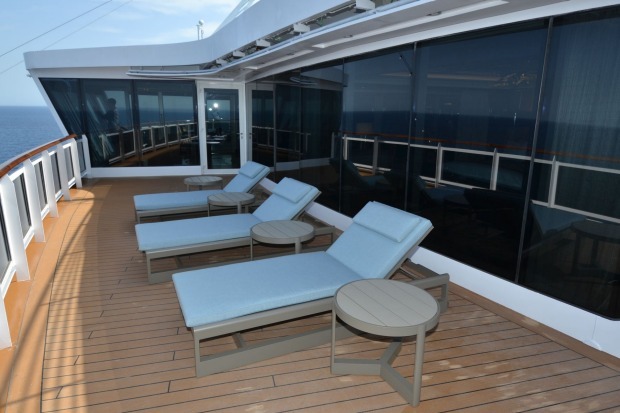 Our cruise visits Livorno (for tours to Florence, Pisa and Lucca), Monte Carlo, St Tropez, Toulon and Palamos before we disembark in Barcelona. 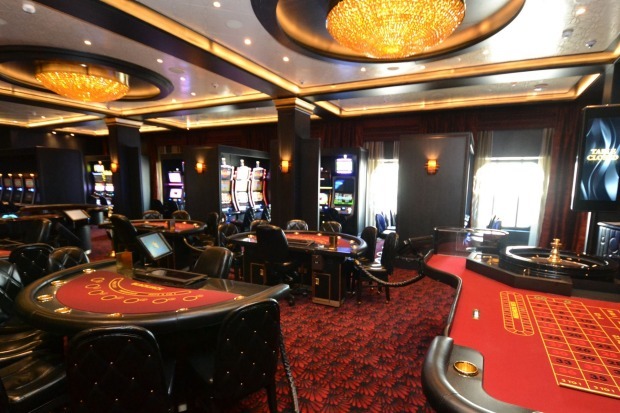 The ship stays until late at night in most ports, which makes going ashore much more relaxing – in Monte Carlo, for example, it leaves at midnight, just after the casino closes. 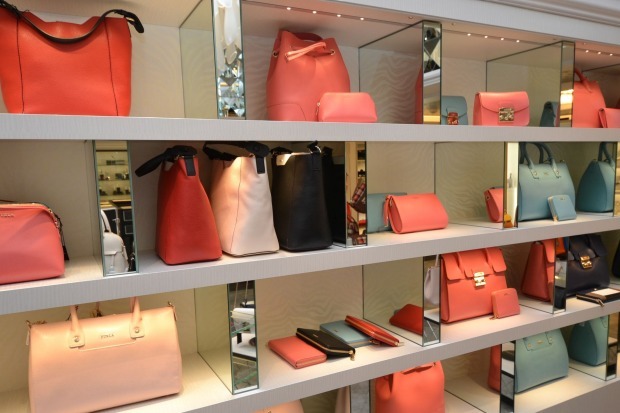 A destinations concierge is on hand to advise if you prefer to do your own thing and local tourist reps come aboard armed with maps and local knowledge to share. 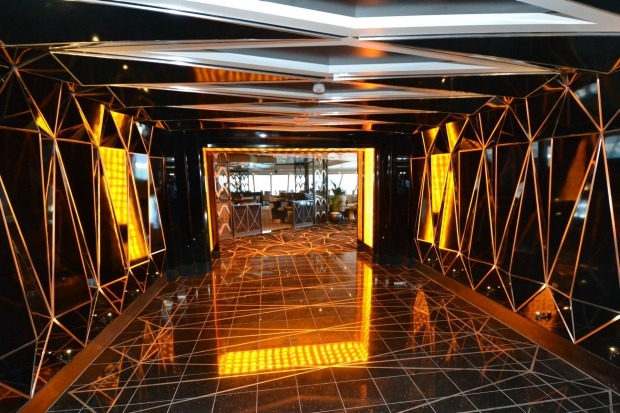 The soaring atrium makes a powerful first impression for embarking guests. 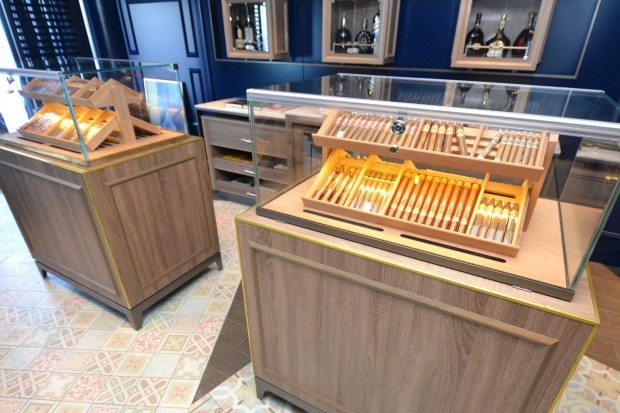 Seven Seas Explorer is the first RSSC ship to offer Gourmet Explorer Tours. These foodie extravaganzas are led by the ship's Culinary Arts Kitchen chefs and combine visits to markets or local producers with lunch at Michelin-starred restaurants. 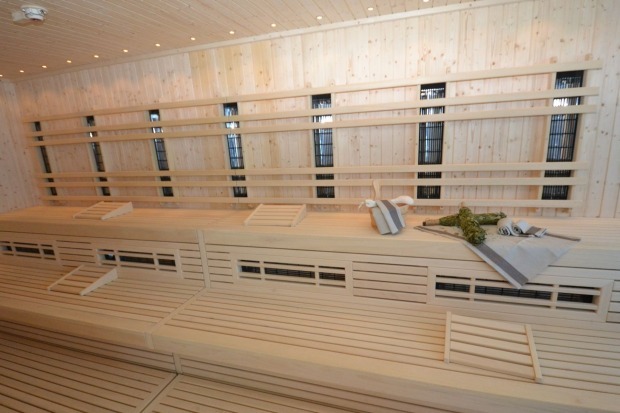 Tours are limited to small groups and cost extra – they can be booked online in advance. 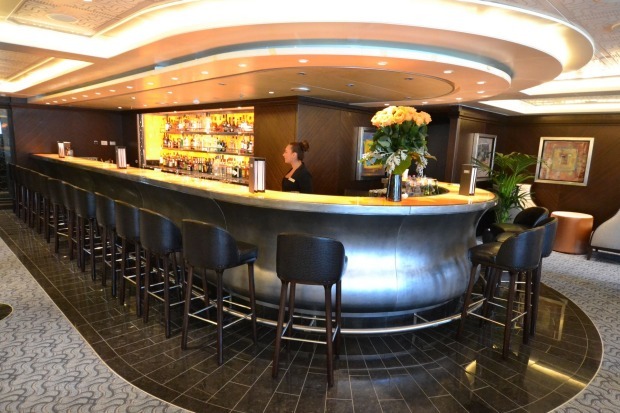 The Culinary Arts Kitchen is another first for the cruise line. I join 17 other guests for a hands-on class with Chef Noelle to produce a three-course Mediterranean menu. 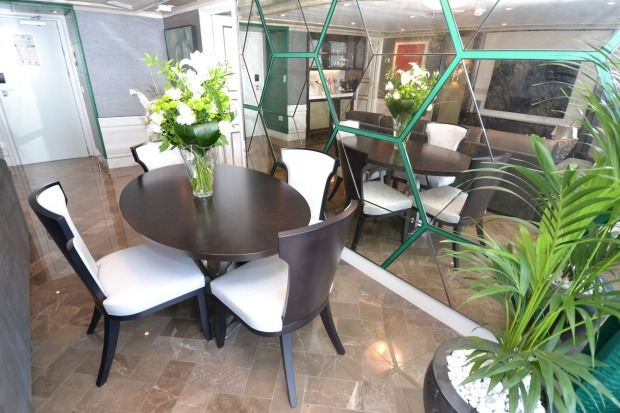 As you would expect, the kitchen is absolutely state-of-the-art but the main attraction is how much fun it all is. 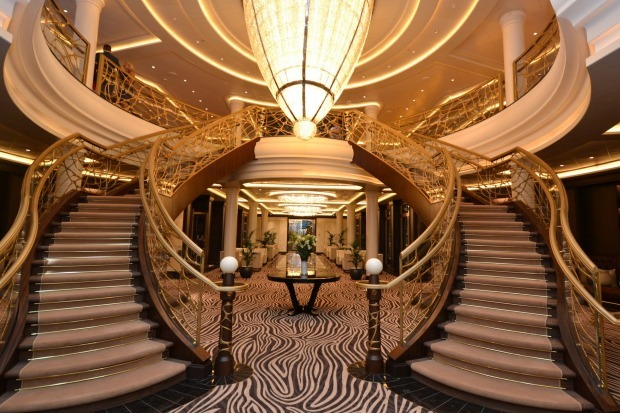 Is Seven Seas Explorer the most luxurious cruise ship ever built? 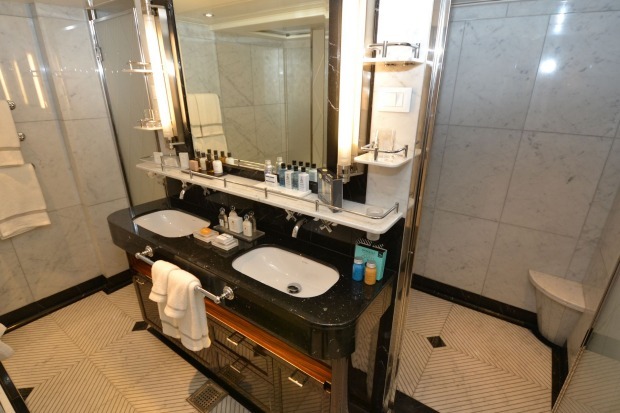 That depends on your definition of luxury. 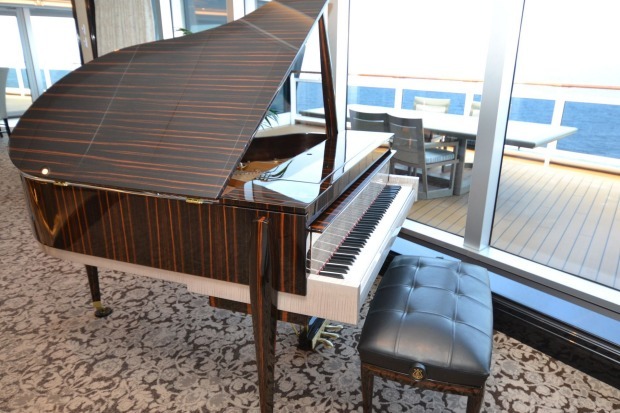 It is certainly more ornate than the most highly rated ship afloat, Hapag-Lloyd's Europa 2, and more spacious and expensively finished than Seabourn Encore, but in the end it's a matter of personal taste and choice. I leave the last word to my friends Kim and Thomas. When we're comparing notes about using the launderette, Kim says the instructions for the washing machine are confusing and suds flood the floor. Thomas looks incredulous and says, "When you're on a cruise like this doing your own laundry isn't even worth thinking about." 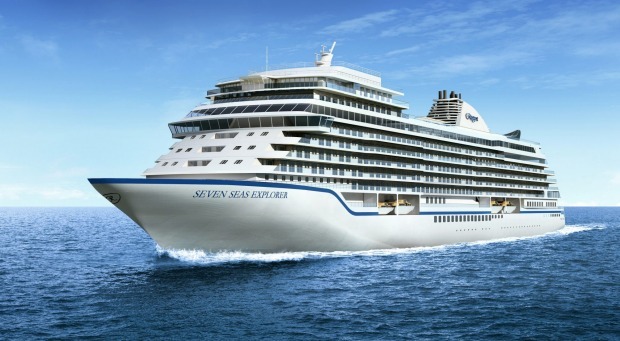 Seven Seas Explorer cruises in the Mediterranean and Northern Europe between April and November and is based in Miami for the Northern Hemisphere winter. 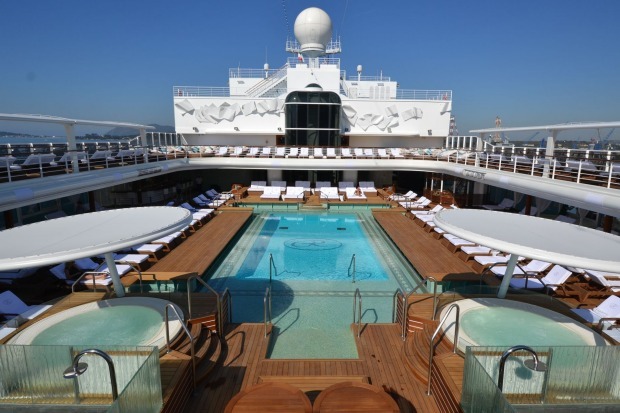 Mediterranean itineraries range from seven to 14 nights; fares for a seven-night cruise from Rome to Monte Carlo, departing October 21, 2017, start from $6590. 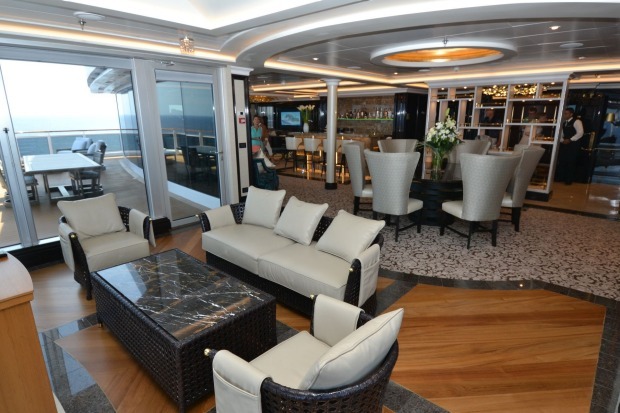 Business-class air-cruise packages are also available. Phone 1300 455 200, see rssc.com. 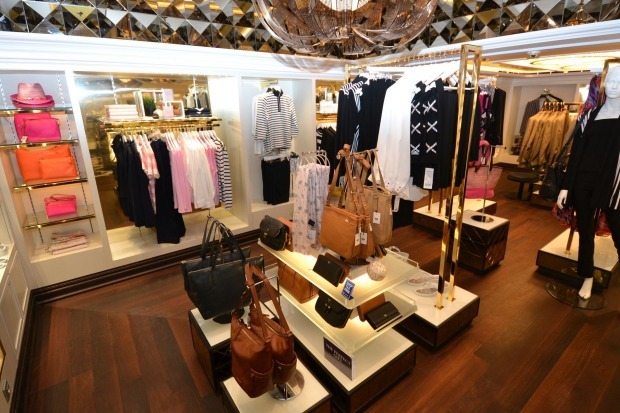 Sally Macmillan travelled as a guest of Regent Seven Seas Cruises and Emirates. 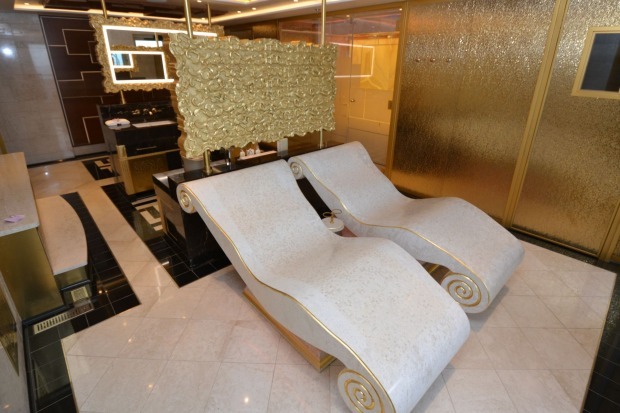 The two-bedroom, three-bathroom Regent Suite features two Picasso lithographs, a $250,000 Steinway piano, a $US150,000 bed ($US90,000 of that is the Savoir mattress), and a master bathroom bigger than some suites. 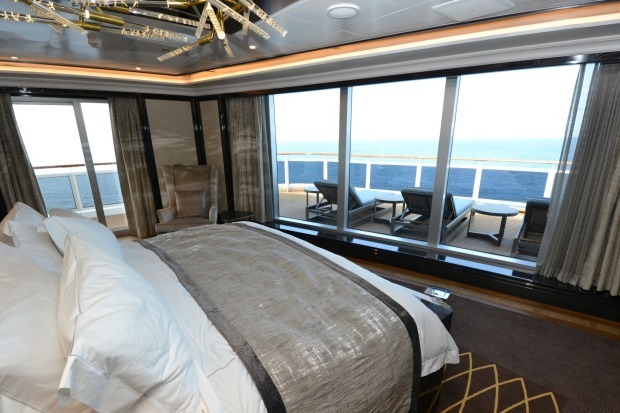 Guests have a private car with a driver in every port and airfares are included in the fare. 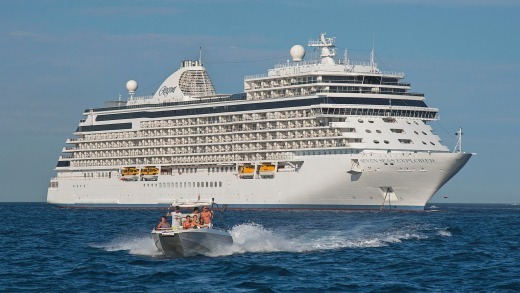 A crew of 542 looks after 750 passengers, a high crew/passenger ratio of one crew member for every 1.4 guests. 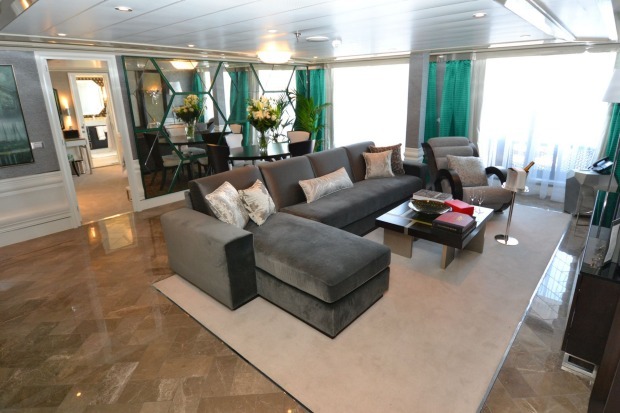 The ship also boasts one of the highest passenger/space ratios in the luxury-cruise segment – put simply, that means it is a sizeable vessel for relatively few passengers. A range of experts from the Smithsonian Collection by Smithsonian Journeys present talks on everything from art history to world politics. Q&A sessions are encouraged and the experts join guests for cocktails and dinner for more informal chats. 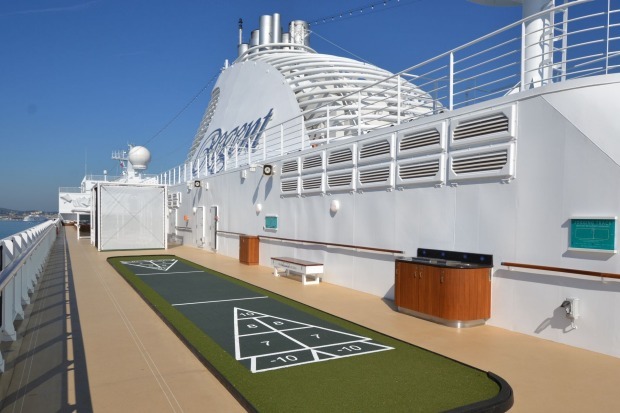 Deck 12 is devoted to outdoor pursuits. 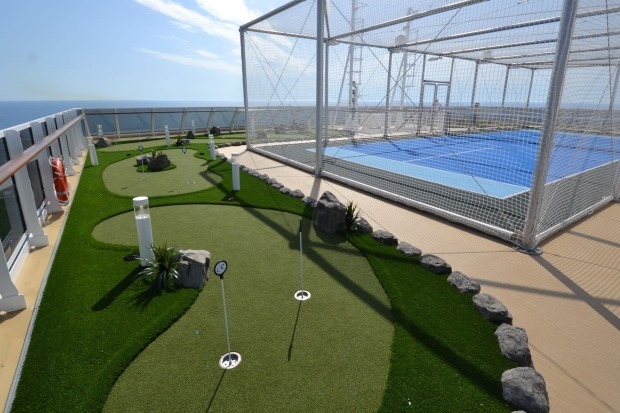 There's a jogging track, tennis court, golf nets, putting green and bocce court. 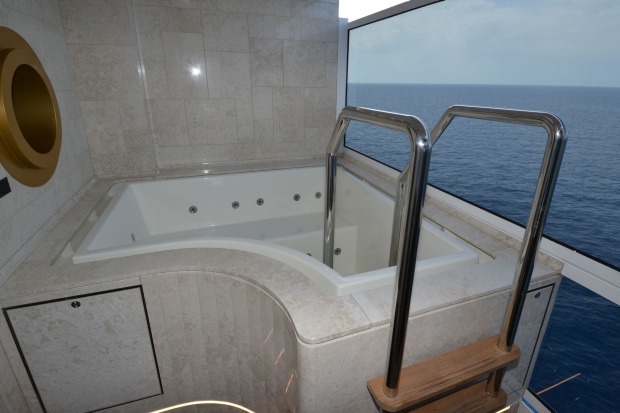 On Deck 11 there are a pool and two hot tubs and at the aft of Deck 5, outside the Canyon Ranch Spa, is an infinity plunge pool. Take in large-scale production shows backed by a nine-piece orchestra and cabarets at the plush Constellation Theatre by night and check out cookery and other demonstrations during the day. 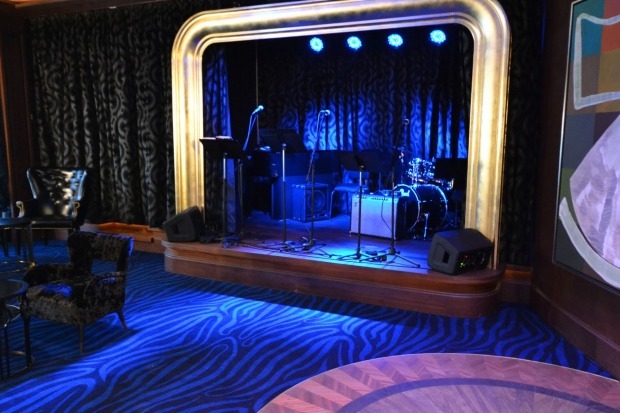 Guest artists such as comedians and musicians also perform in the theatre.